American Teacher – As the debate over the state of America’s public school system rages on, one thing everyone agrees on is the need for great teachers. Yet, while research proves that teachers are the most important school-based factor in a child’s future success, America’s teachers are so woefully underpaid that almost two thirds must divide their time between a second job in order to make a living. Chronicling the stories of five teachers in different areas of the country, American Teacher reveals the frustrating realities of today’s educators, the difficulty of attracting talented new teachers, and why so many of our best teachers feel forced to leave the profession altogether. Cowspiracy: The Sustainability Secret – This film is a is a groundbreaking feature-length environmental documentary following an intrepid filmmaker as he uncovers the most destructive industry facing the planet today – and investigates why the world’s leading environmental organizations are too afraid to talk about it. As eye-opening as Blackfish and as inspiring as An Inconvenient Truth, this shocking yet humorous documentary reveals the absolutely devastating environmental impact large-scale factory farming has on our planet. A Brave Heart: The Lizzie Velasquez Story – This film is a documentary following the inspiring journey of 26 year old, 58 pound Lizzie from cyber-bullying victim to anti-bullying activist. Born with a rare syndrome that prevents her from gaining weight, Lizzie Velasquez was first bullied as a child in school for looking different and, later online, as a teenager when she discovered a YouTube video labeling her “The World’s Ugliest Woman.” The film chronicles unheard stories and details of Lizzie’s physical and emotional journey up to her multi-million viewed TEDx talk, and follows her pursuit from a motivational speaker to Capitol Hill as she lobbies for the first federal anti-bullying bill. 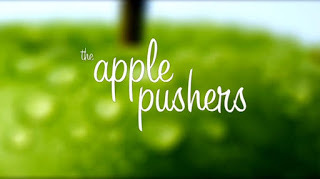 The Apple Pushers – Narrated by Edward Norton, this film follows the inspiring stories of five immigrant pushcart vendors who are rolling fresh fruits and vegetables into New York City’s food deserts – neighborhoods where finding a ripe, red apple is a serious challenge and where obesity rates are skyrocketing. These micro-entrepreneurs, who hail from Ecuador, Russia, Mexico, and Bangladesh, are at the heart of a unique urban strategy, the Green Cart Initiative, which seeks to increase the availability of fresh produce in under-served communities, in an effort to combat the obesity epidemic found in so many of America’s cities. Bridegroom – On May 7th, 2011, a young man named Shane Bitney Crone tragically lost the love of his life, Tom, to an accident. Because they weren’t married or prepared for the unexpected, Shane lost all legal claims to Tom after he died. Tom’s family banned Shane from the funeral and he was unable to say goodbye. On May 7th, 2012 Shane posted a video on YouTube, entitled “It Could Happen to You.” He created it to honor his partner and show the world what can happen when two people are legally barred from having equal rights and equal protections under the law to marry. Shane’s partner was named Tom Bridegroom. The video went viral, passing two million views within seven days. Deepsouth – This is a documentary about the rural American South, and the people who inhabit its most quiet corners. Beneath layers of history, poverty and now soaring HIV infections, four Americans redefine traditional Southern values to create their own solutions to survive. 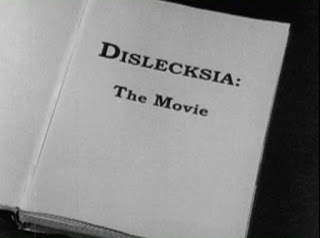 Dislecksia: The Movie – An engaging documentary that weaves vintage classroom footage, celebrity interviews and the comedic touch of dyslexic director Harvey Hubbell V into an engrossingly entertaining film on a serious subject. In the first film to discuss dyslexia as a learning difference, not a learning disability, Hubbell rallies a team of celebrated neuroscientists, heroic educators, high profile celebrities and business leaders with dyslexia who are advocates of Harvey’s belief. The subjects of the film showcase the most up-to-date information and in doing so, a blueprint emerges on how best to manage this learning difference that up to 1.4 billion people cope with daily. Documented – In 2011, Pulitzer Prize-winning journalist Jose Antonio Vargas outed himself as an undocumented immigrant in an essay published in the New York Times Magazine. Documented chronicles his journey to America from the Philippines as a child; his journey through America as an immigration reform activist; and his journey inward as he re-connects with his mother, whom he hasn’t seen in person in over 20 years. Forget Us Not – An in depth look at the persecution and subsequent death of the 5 million non- Jewish victims of the World War II Holocaust and the lives of those who survived. Through stories of survivors and historical footage, these lesser known voices are brought to life. From the Roma and Sinti people who were also targeted for complete annihilation to the thousands of Catholic Priests who were killed for speaking out, Forget Us Not strives to educate and give tribute to those who were killed for their religion, ethnicity, political views, sexual orientation and physical handicaps. Lunch Hour – Lunch Hour explores the National School Lunch Program, childhood obesity, and our addiction to unhealthy foods. It shows what schools, parents, authors, doctors, politicians, celebrities, and chefs are doing to problem solve this issue and help save the children of America. Paper Tigers – Paper Tigers follows a year in the life of an alternative high school that has radically changed its approach to disciplining its students, becoming a promising model for how to break the cycles of poverty, violence and disease that affect families. The True Cost (Bullfrog Films)- This is a story about clothing. It’s about the clothes we wear, the people who make them, and the impact the industry is having on our world. The price of clothing has been decreasing for decades, while the human and environmental costs have grown dramatically. The True Cost is a groundbreaking documentary film that pulls back the curtain on the untold story and asks us to consider, who really pays the price for our clothing? and riotous novels influenced and helped guide the nascent environmental movement of the 1970s and ’80s. 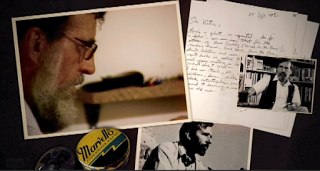 Through interviews, archival footage and re-enactments, the film captures the outrage of Abbey’s friends who were the original eco-warriors. In defense of wilderness, these early activists pioneered “monkeywrenching” – a radical blueprint for “wrenching the system.” Exemplified by EarthFirst! in the early ’80s, direct action and civil disobedience grew in popularity. Salam Neighbor (Tugg Educational)- Seven miles from war, 85,000 Syrians struggle to restart their lives inside Jordan’s Za’atari refugee camp. For the first time in history, two filmmakers fully embed themselves in the camp, providing an intimate look at the world’s most dire humanitarian crisis. Saving Mes Aynak (Icarus Films)- Saving Mes Aynak follows Afghan archaeologist Qadir Temori as he races against time to save a 5,000-year-old archaeological site in Afghanistan from imminent demolition. A Chinese state-owned mining company is closing in on the ancient site, eager to harvest $100 billion dollars worth of copper buried directly beneath the archaeological ruins. Only 10% of Mes Aynak has been excavated, though, and some believe future discoveries at the site have the potential to redefine the history of Afghanistan and the history of Buddhism itself. Qadir Temori and his fellow Afghan archaeologists face what seems an impossible battle against the Chinese, the Taliban and local politics to save their cultural heritage from likely erasure.